Both have been sent back home from the Australia tour. 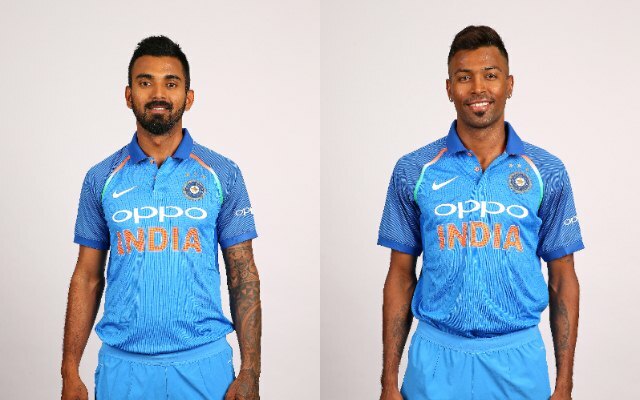 Indian cricketers KL Rahul and Hardik Pandya have found themselves in grave trouble as far as their cricketing career is concerned. Recently, the duo attended a talk-show Koffee With Karan, aired on Sunday, hosted by the director and producer Karan Johar, but ended up making some sexist and misogynist remarks on women, something which sparked controversy and outrage. Subsequently, the Supreme Court-appointed Committee of Administrators (CoA), headed by Vinod Rai, of the BCCI, handed them an indefinite suspension until a further enquiry into the matter. The cricketers have also been asked to return home midway from the tour of Australia. Diana Edulji, a member of the CoA, also hinted their World Cup plans may also have landed into the doldrums. It’s only the second instance in Indian cricket when a player has been asked to return home midway through a tour. They also won’t be a part of the Indian squad for the ODI and T20I series against New Zealand that gets underway a few days following the conclusion of the 50-overs series Down Under. Previously, Pandya also took to Twitter and floated an apology. However, it wasn’t considered adequate by the BCCI. Indian captain Virat Kohli said that their omission would disturb the team combination. The cricketers would now need to answer why a further enquiry shouldn’t be conducted on them and should be forgiven. Even from the commercial perspective, they have incurred losses. Recently, Gillette ended its association with Pandya. In the meantime, supporters want Pandya and Rahul’s respective franchises in the Indian Premier League (IPL) to take action on them for their indifferent comments on national television. Even as Pandya plays for Mumbai Indians (MI), Rahul represented Kings XI Punjab (KXIP) last season. Both have been indispensable members of their clubs in the T20 extravaganza. Will their respective IPL teams penalise Rahul and Hardik? @harbhajan_singh thinks they will. Have to wait and see what happens. Should be imposed six months ban from cricket and also from ipl ? ?